Barbara Webb Stephney is a retired English as a second language teacher for the Dallas Independent School District. 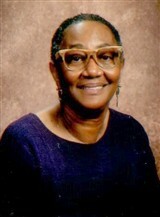 Ms. Webb Stephney worked in the education field for 40 years and was a well respected leader who knew how to connect with her students and create a fun and interactive environment that promoted the value of learning. During her tenure as an educator, Ms. Webb Stephney taught ESL, tutored students, and shared her knowledge through publishing articles in “Interactive Teachers.” Currently pursuing a Ph.D. in school management, Ms. Webb Stephney continues to play a big part in the education industry. She draws on her past experience and skills to teach citizenship programs and adult basic education programs in Dallas County. Ms. Webb Stephney also participates in various industry groups, including Tech Alliance of Dallas, Texas Education Agency, Texas Council of Teachers of English Language Arts, Teachers of English to Speakers of Other Languages, The Texas Retired Teachers Association, Association for Supervision and Curriculum Development, Texas Association for Literacy & Adult Education, and the National Education Association.